Modern Bedroom Furniture Command Block 1.11.2/1.11. 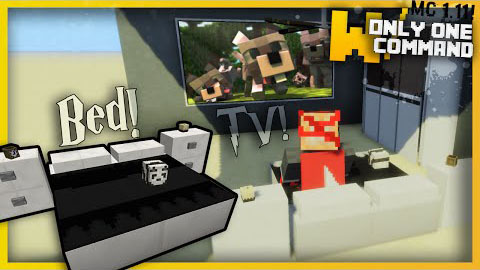 This command creation adds modern bedroom furniture into your vanilla Minecraft world. It adds new modern beds, wardrobes, bedside tables, TVs and ceiling fans.